This 1600 square foot condominium is fully furnished and features your own jacuzzi spa, on a private 200 square foot terrace that overlooks the ocean. Brand new kitchen installed in 2017 with high end stainless steel appliances and granite countertops. This condominium in Bay View Grand is walking distance to shopping, dining, and entertainment. It is also minutes from Palma Real Golf Course, four miles from Zihuatanejo, a quaint fishing village with a friendly atmosphere, shops, restaurants, tourist markets and is only 20 minutes from the local airport. All the comforts of home await you at this gated luxury complex, which features two large beachfront infinity pools, hot tubs, private gym, spa, poolside snack bars, tennis court and the most spectacular sunsets in North America. This 1600 square foot condominium is fully furnished and features your own jacuzzi spa, on a private 200 square foot terrace that overlooks the ocean. This condominium in Bay View Grand is walking distance to shopping, dining, and entertainment. It is also minutes from Palma Real Golf Course, four miles from Zihuatanejo, a quaint fishing village with a friendly atmosphere, shops, restaurants, tourist markets and is only 20 minutes from the local airport. All the comforts of home await you at this gated luxury complex, which features two large beachfront infinity pools, hot tubs, private gym, spa, poolside snack bars, tennis court and the most spectacular sunsets in North America. The condo association charges a guest fee for wristbands that allow access to the facility and amenities. The fee is 300 pesos for each adult and 150 pesos for each child. The fee must be paid upon arrival. Dear Owners, It is a pleasure to be able to greet you and wish you a Happy New Year 2019. This is to inform you about some of the Owners’ General Assembly decisons held on December 29, related to the Guests (renters): 1. INCREASE in the fee for the green bracelets to from $300 to $350 pesos for adults and from $150 to $200 pesos for children. This is mainly due to rising maintenance and security costs. 2. It was also decided to change the policy for the use of the gym/spa/tenis court. We are now offering memberships for the duration of the stays only. Upon payment of the membership, the Guest will be given a black bracelet. MEMBERSHIP FEES 1 WEEK OR LESS 500.00 PESOS 2 WEEKS 1,000.00 PESOS 3 WEEKS 1,300.00 PESOS 4 WEEKS 1,800.00 PESOS 5 WEEKS 2,300.00 PESOS 6 WEEKS 2,800.00 PESOS 7 WEEKS 3,300.00 PESOS 8 WEEKS 3,600.00 PESOS Only persons wearing black bracelets will have access the gym/spa/tennis court. Anyone on the premises without a black bracelet will be subject to a fine of $4,000 pesos. People who paid for a massage must enter with their ticket and leave the area as soon as they are finished. THE FEE FOR BRACELETS FOR GUESTS AND THE NEW PROCEDURE FOR THE USE OF THE GYM, SPA AND TENNIS COURT, WILL BE IMPLEMENTED STARTING MONDAY, JANUARY 14, 2019. Beginning this year the multi-media room is for the exclusive use of owners. We will appreciate that you pass this information to your Guests so to avoid inconveniences upon their arrival at the Condominium. Visited this condo last year and we are coming back for a second time this year. We absolutely love this place. It's clean and peaceful. The staff is super friendly and we enjoyed both pools. We rented this 2 bedroom with another couple and were very happy with the size, location, and gorgeous view from the balconey. The building, grounds and pools are kept immaculate. The staff was very polite and helpful. We would highly reccomend this property and are looking forward to returning again. 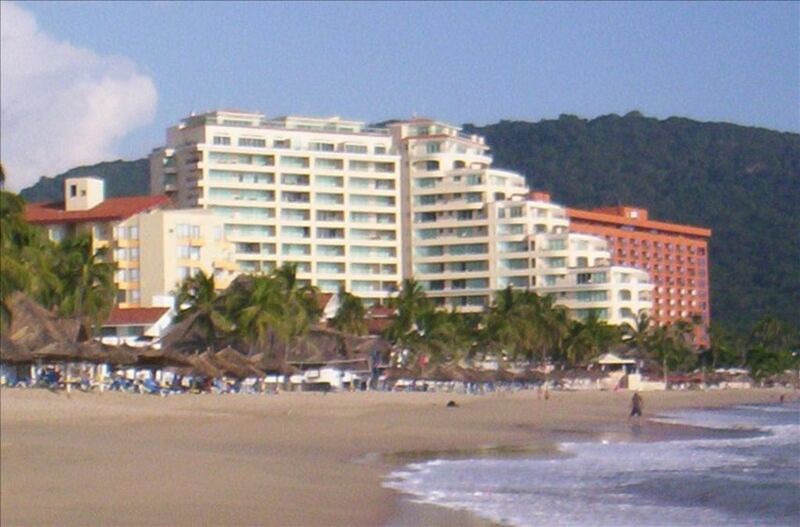 We spent the month of February 2007 in this condo in Ixtapa. The condo unit was fully supplied and more than comfortable. And what a view. The Bay View Grand is immaculately kept and everyone is very helpful. Ixtapa and this condo unit is a wonderful place and we would go back in a heartbeat. Off season special $700.00 a week, May 1 through October 30.